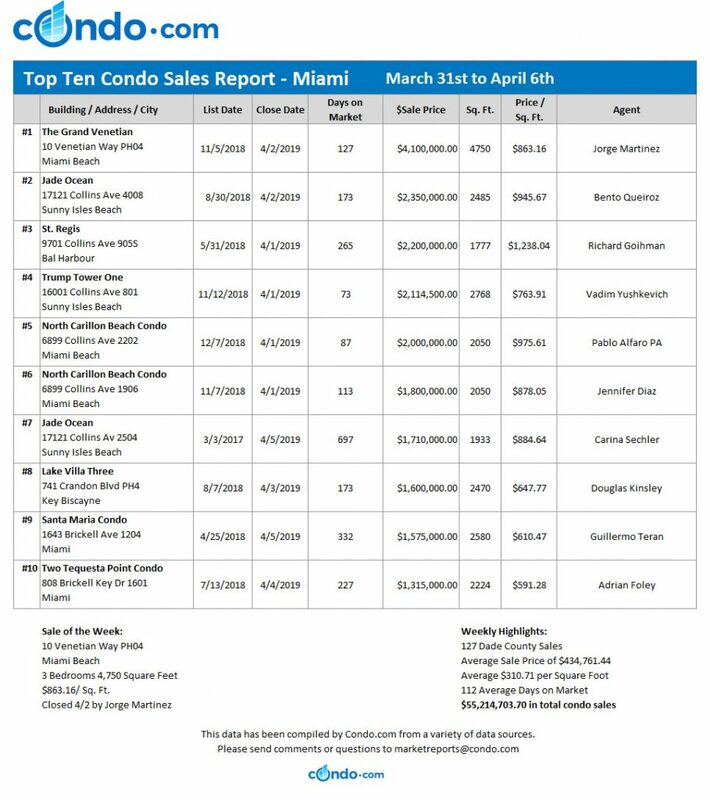 The Miami Dade condo market was steady this past week. There were 127 sales for a total sales volume of $55,214,703. 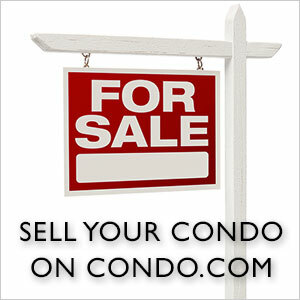 The average price for a condo was $434,761.44, or $310.71 per square foot. Miami was the top city, reporting 50 sales for a total of $15.253 million. Miami Beach had 18 transactions for $14.271 million. 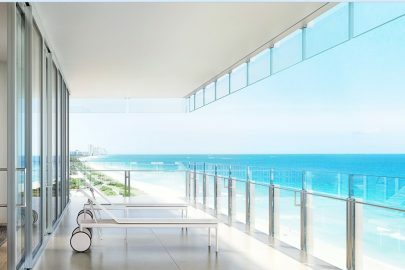 Sunny Isles Beach followed with 11 closings for $9.370 million. 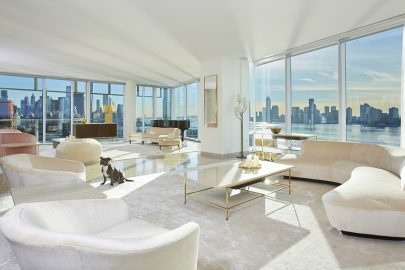 The top condo sale of the week was a spacious penthouse at the Grand Venetian on Miami Beach. This three-bedroom, 4,750 square foot property at 10 Venetian Way sold for $4,100,000, or $863.16 per square foot. Jorge Martinez sold this condo after 126 days on the market. 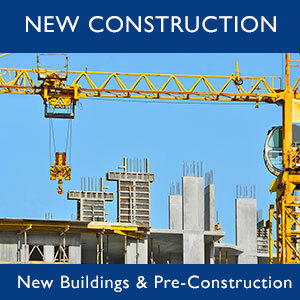 The Miami Dade condo market remains upbeat through the month.